If you’re class of 2021, you’ve just survived your first semester of college. 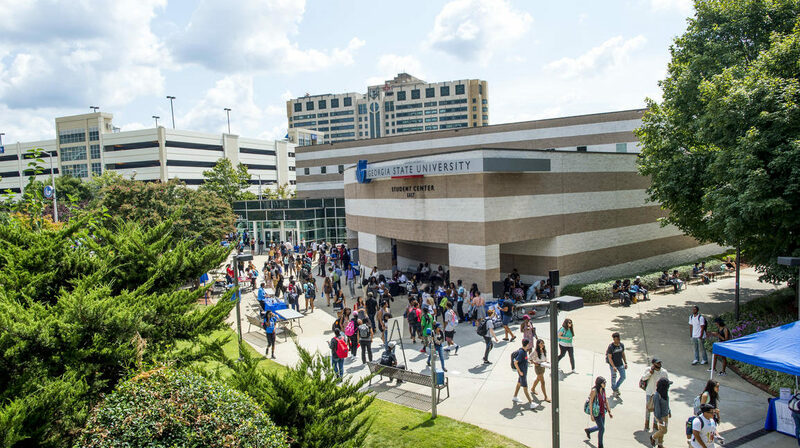 It’s not an easy task to take on Georgia State, but here are some tips that may have helped you the past couple of months and will definitely come in handy throughout the upcoming semester. Just when you think financial aid has you covered, professors give you the textbook list for their course and you can hear the wallets let out a faint scream from pockets around the classroom out. Luckily, discount textbooks are sold all over the web. For this upcoming semester, try Chegg.com, Amazon Rentals, or even just convenient free textbook PDF’s to save some extra cash on your books. Let’s be real, whether you save money on textbooks or not, money gets tight for the average student. Student discounts are your friend, even just for your comfort luxuries. Amazon Prime Student, Apple Music Student Subscription, and some restaurants around campus like Waffle House and Subway offer student discounts for monetary relief. Save yourself from the strange substances and smells you face in a dorm bathroom. Shower-shoes are a must. A wipe or two for each trip to the restroom can only help. And, pro-tip: Poo-Pourri helps all parties involved in a dorm room. There is power in numbers. Five brains in Freshman chemistry is better than one. Also, nothing pries sympathy out of professors like a unified pack of confused students begging for help after a group study session, so it’s a win-win. Stress is inevitable in college. On a stressful night, herbal tea, a long shower or even just a walk around downtown might help ease your troubles. Remember, mental health is forever, a class is for a semester.